Full Name : John Vincent Orlando. Nick Name : Johnny, JohnnyO. Birthday : January 24th, 2003. Born in : Mississauga, Ontario, Canada. Live in : Los Angeles, CA, USA & Toronto, Canada. Hair Color : Light Brown. Parents : Dale & Meredith Orlando. Sibling : Madison (1996), Darian (1998) & Lauren Orlando (2004). Instruments : Drums, Piano, Guitar. Occupation : Singer, Songwriter, Actor. 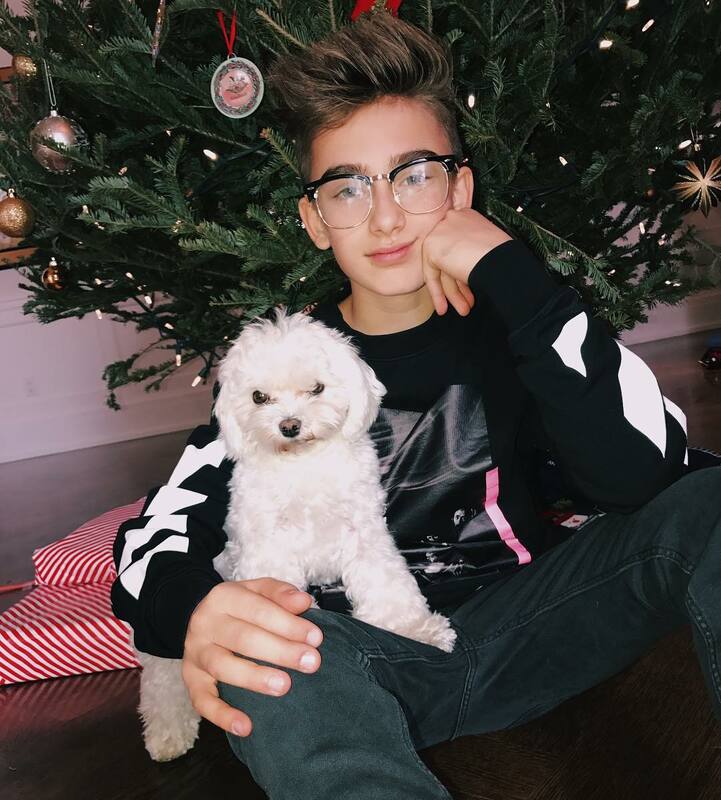 App : Johnny Orlando The Official App. 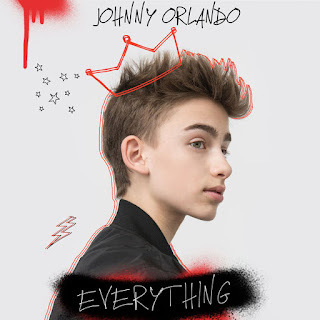 iTunes : JohnnyO & Johnny Orlando. Spotify : JohnnyO & Johnny Orlando. 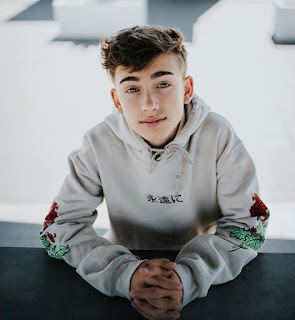 YouTube : Johnny Orlando & Johnny Logs. Album : Vxiixi – EP (2015). – J-14 Teen Icon Awards 2016 for Iconic Web Celeb Male. – 2017 TigerBeat’s 19 Under 19 for Best Duo (with Lauren Orlando). – Cadbury “Creme Eggs” (2014). – Fading Light (2016) as Bully. – Bunyan and Babe (2017) as Travis Barclay (voice). – Teen Choice Awards 2016 for Choice Web Star: Music. – J-14 Teen Icon Awards 2016 for Iconic Muser (musical.ly Star). – Nickelodeon Kids’ Choice Awards 2017 for Favorite Viral Music Artist. – Teen Choice Awards 2017 for Choice Web Star: Music. 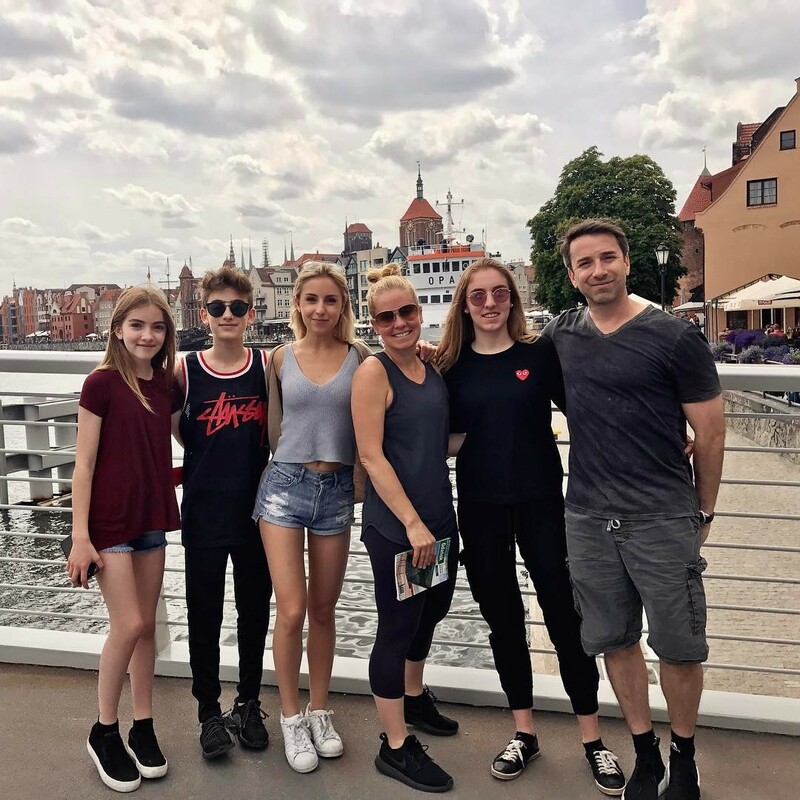 – Celeb Mix Awards 2017 for Best Tour – Day & Night Tour (with Mackenzie Ziegler). – Day & Night North American Tour 2017 (April 2nd-August 13th). – Day & Night Europe Tour 2017 (December 3rd-12th). – Playlist Live (Feb 6th-8th, 2015). – Winter Light 3 in Santa Ana, CA, USA (December 6th, 2015). – YoungNFree Tour (Feb 28th, 2016). – MAGCON Tour (Mar 19th-May 7th, 2016). – Boys of Summer US Tour (July 5th-22nd, 2016). – Playlist DC (Sep 2nd-4th, 2016). 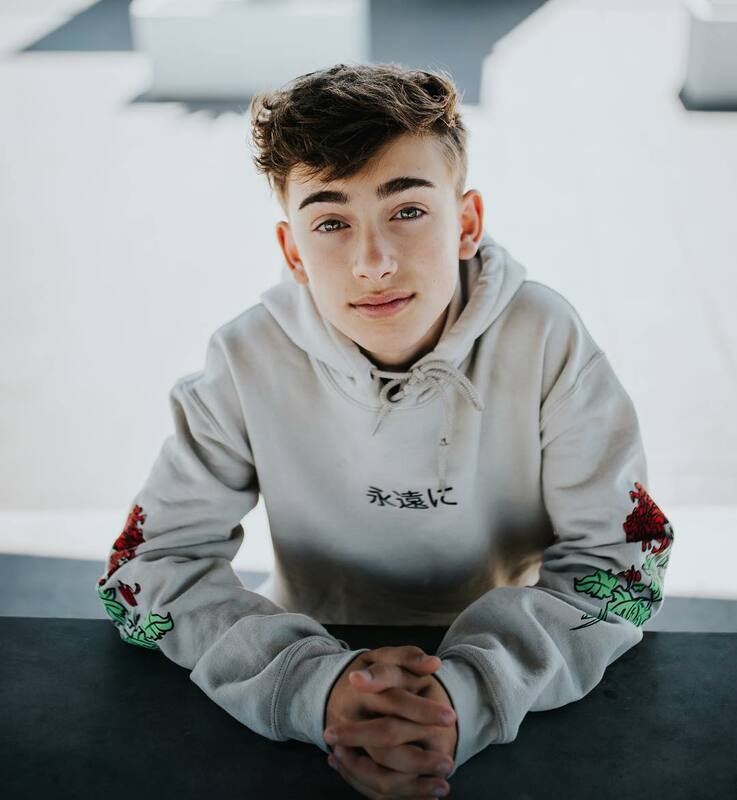 – Jacob Sartorius’ All My Friends Tour (Nov 3rd-6th, 2016). – Bars and Melody’s UK & Europe Tour (May 29th-June 8th, 2017). – Young Stars on Tour 2017 (December 13th-17th). – Wishenproof! Season 1, Episode 4, 6, 7, 10, 13 (2014) as Oliver (voice). – Super Why! Season 3, Episode 1-23 (August 17th, 2015-2016) as Whyatt Beanstalk/Super Why (voice). – Johnny has a dogs named Jax and Bentley. – #8 on Zefr Inc‘s “Top 100 Influencers”. – “Let Go”, “Day & Night”, “Missing You” charting on the iTunes Top 100 Pop Charts. – Right By Your Side. – Never Give Up (2013). – Best Song Ever (2013). – We Can’t Stop (2013). – What About Love (2013). – Found My Girl (2014). – What Do You Mean? (2015). – Day & Night (feat. Mackenzie Ziegler) (2016). – Christmas Fever (Carmen Geiss & Aneta Sablik feat. Bars and Melody & Johnny Orlando) (2017).